Attention knife collectors! 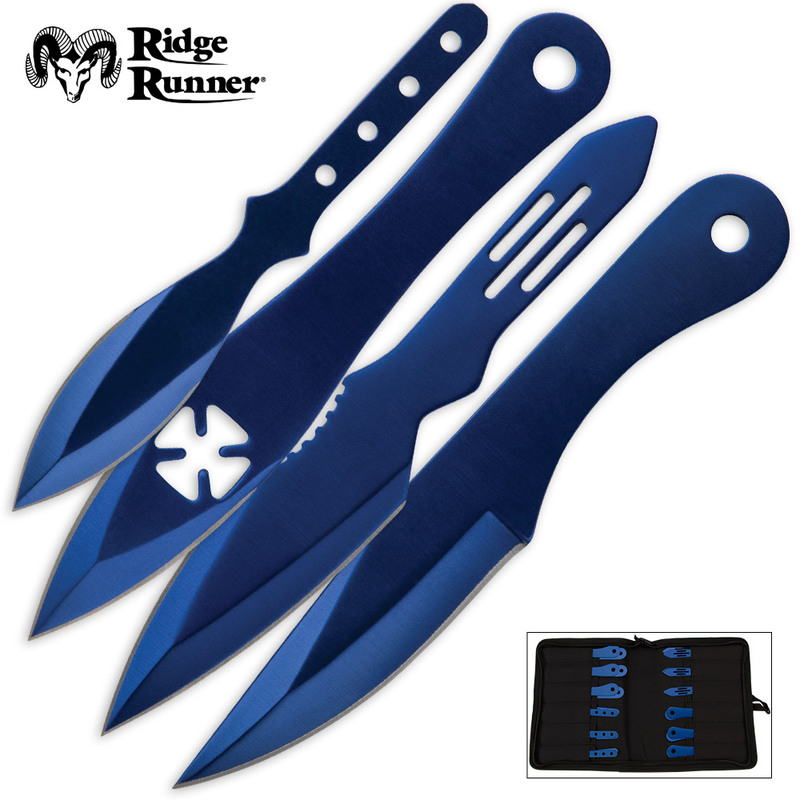 You have to add our 24-Piece Ridge Runner Electric Blue Throwing Knives to your collection! 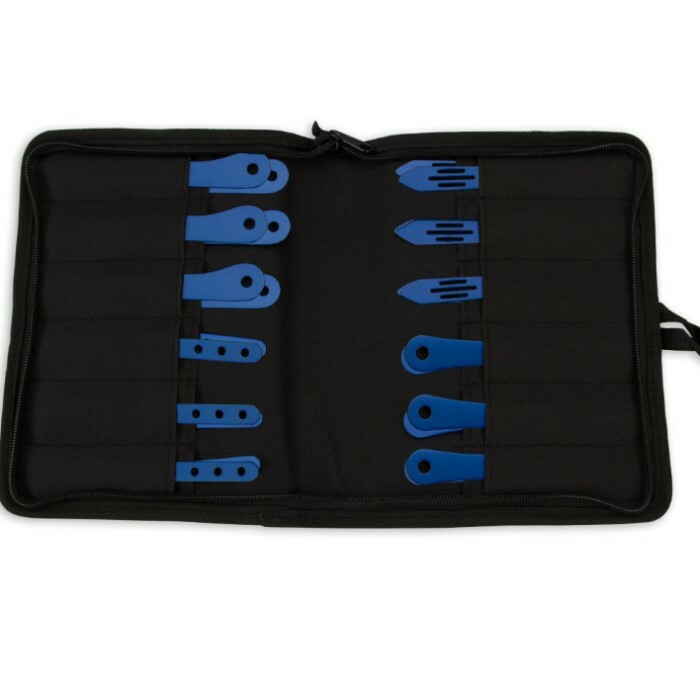 The 24-piece set has electric blue, full-tang throwing knives that feature four different, unique designs. Each knife is 5 3/8” in overall length and a roll-up nylon sheath houses the set.